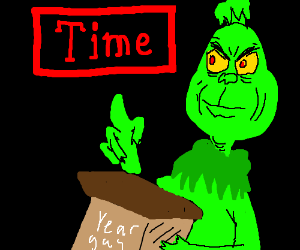 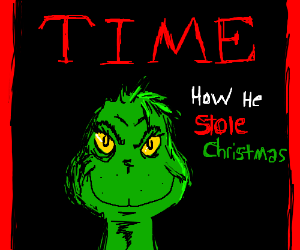 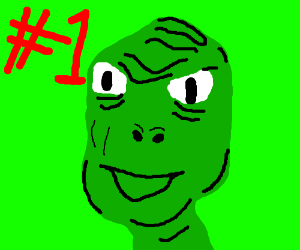 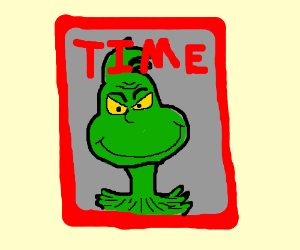 The Grinch makes the cover of Time magazine. 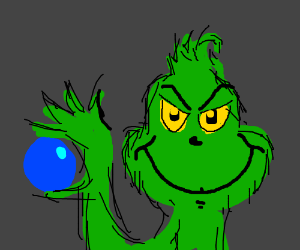 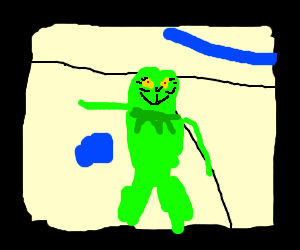 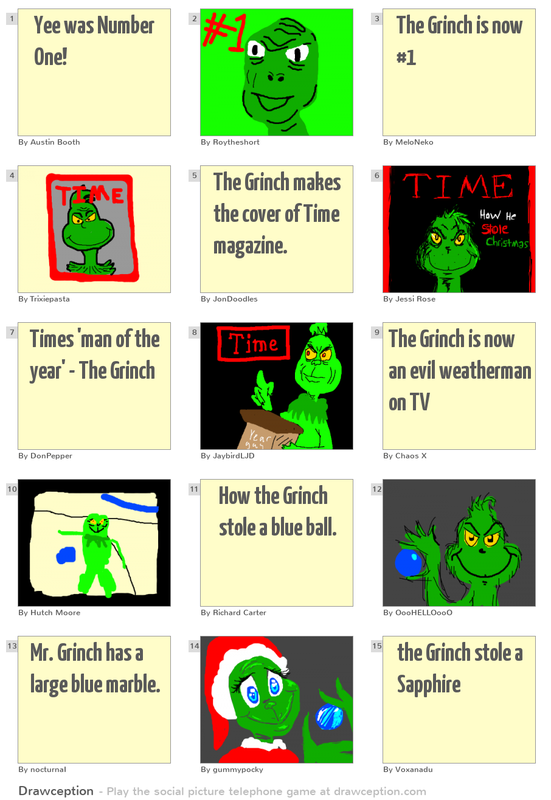 How the Grinch stole a blue ball. 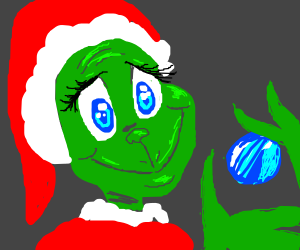 Mr. Grinch has a large blue marble.